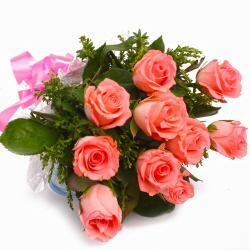 Product Consist : Ten Red Roses with Cellophane Wrapping with Ribbon Bow on it. 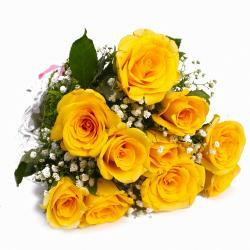 Give your loved ones happiness of lifetime on their special occasions by pampering them with freshest flowers of the season from Giftacrossindia. 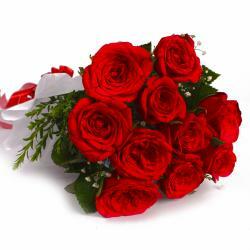 This is a beautiful bunch of roses in red color. 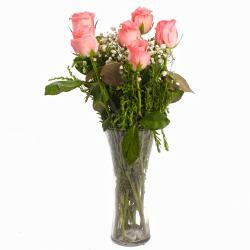 These cheery blooms are stylishly tied together with a matching ribbon in a bow tie and are adorned with classy cellophane wrapping. 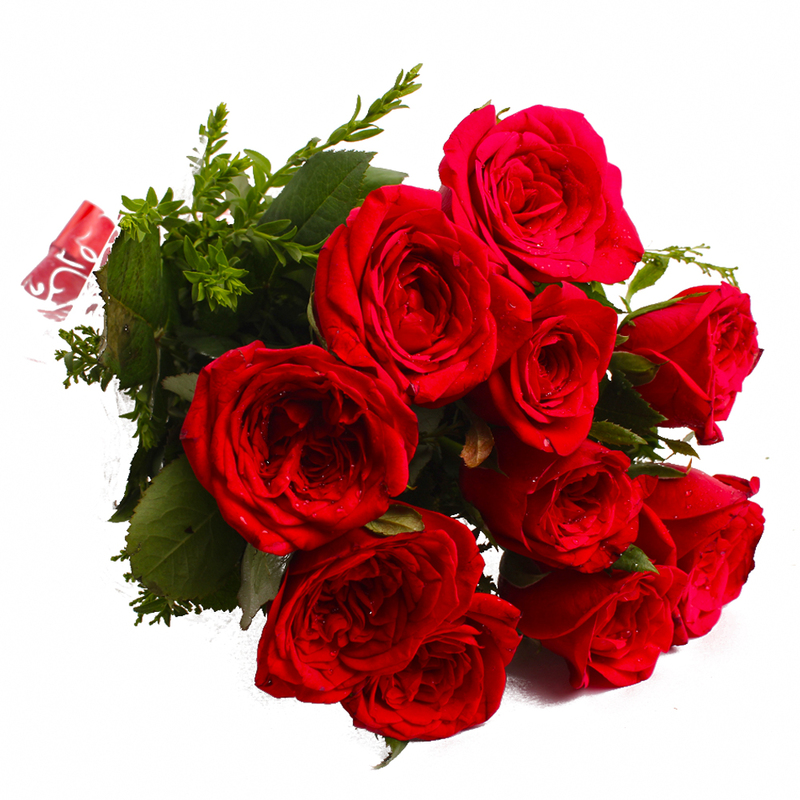 You can gift this marvelous bunch of ten red roses to special ones on all special events Birthday, Anniversary, New Born, Janmashtami, Grandparents Day and so on. Send your best wishes in style. 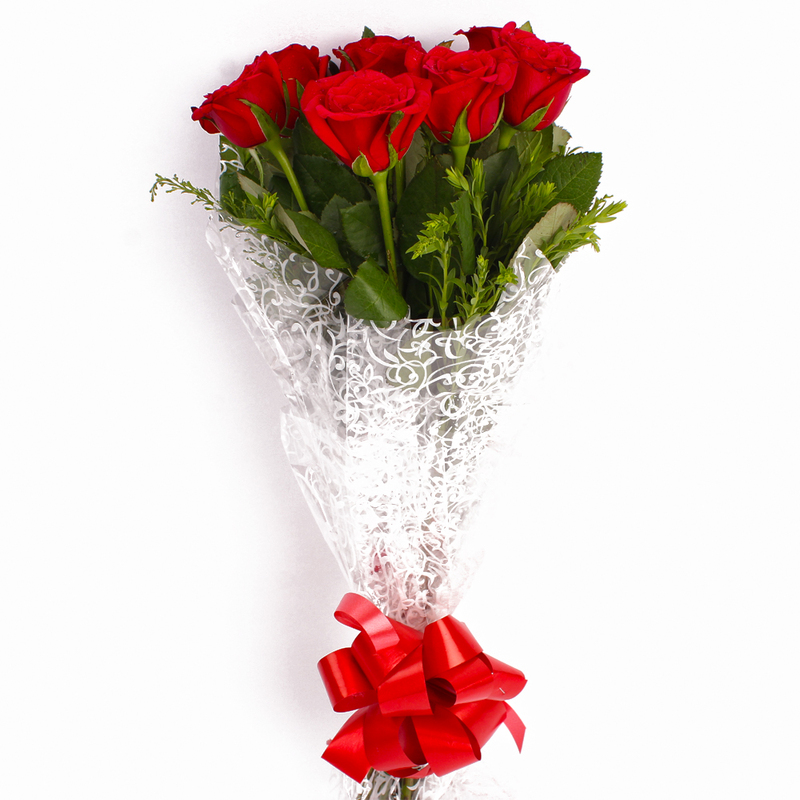 Product contains: Ten Red Roses with Cellophane Wrapping with Ribbon Bow on it.